There’s always something exciting happening in Vegas, which is great for those who suffer from boredom. But, this festive atmosphere also means that interesting little tidbits can easily slip through the cracks. Take the Downtown Cocktail Room’s renovation of their Speakeasy space for example. The 10-year anniversary of the popular Downtown Cocktail Room takes place in January, less than a couple months away. But, before that exciting day comes, Future Restaurant Group’s Jennifer and Michael Cornthwaite are launching a new co-working space called Mike Morey’s Sip ‘n’ Tip. This new venue is named after a popular Downtown Cocktail Room patron who passed away recently. Mike Morey was the quintessential customer and had the unique distinction of being the only patron to open and close the bar in one sitting. He even worked as a security guard at when the Downtown Cocktail Room was dealing with an employee shortage. Mike Morey was beloved by not only the employees but the owner and manager as well. A loyal and courteous customer, his passing hit everyone fairly hard. So, when it was time for the Cornthwaites to set out on a new venture, it was only fitting that they would pay homage to their best customer. Before its reincarnation into the Sip ‘n’ Tip, the space was home to Speakeasy, an area that was often booked for events. Although decently populated during the weekends and events, other times it pretty much went unused. It is the hope of the owners that the change will provide broader appeal to a wider audience. And because it is located in inside another venue, it allows the owners of the Downtown Cocktail Room to give their customers two completely different atmospheres in one place. 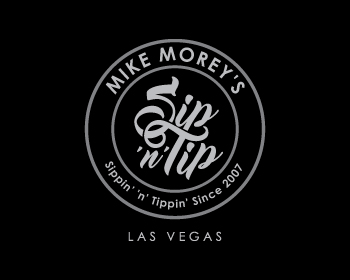 Mike Morey’s Sip ‘n’ Tip is approximately 600 square feet, with a 27-foot bar and a brown, black, and white decor. It also features diner-style booths, a jukebox located in the back, and a television screen to show sports games. This delightfully low-brow atmosphere acts as a complementary counterpoint to the already existing upscale Cocktail Room. Its simple design gives it a feel that’s comfortable – without protocol and pretenses. In this way, it’s the perfect place to grab a few drinks after a hard day of work or partying. Customers will be able to pick from a small selection of canned beers, including some delicious local varieties. There are also four draft beers, a small selection of spirits, and instead of fountain sodas, they will serve club service of mixers. To get to it, guests will have to enter through the Downtown Cocktail Room or the existing (albeit rarely used) sliding side door that’s located in the alley. There’s a small room in between the two venues to mark where the Cocktail Room ends and the Sip ‘n’ Tip starts. As of right now, the Sip ‘n’ Tip is expected to have a soft opening in December and a grand opening in January. See you there!